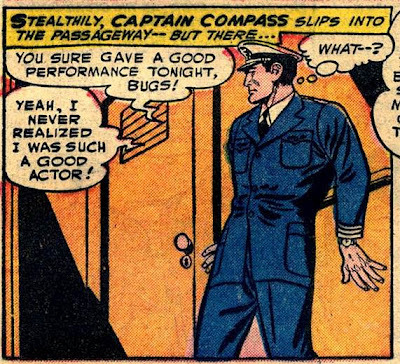 Captain Compass was one of many features that Detective Comics had over the years. 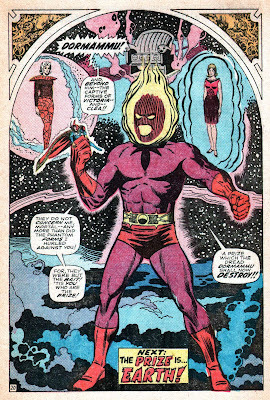 He originally appeared in issues of Star Spangled Comics, starting in #83. He bumped Robotman from that book, and that feature moved over to Detective, starting with #138. Mark Compass wasn't really a captain; rather he was a trouble-shooter/house detective, initially sailing on the SS Nautilus, and later roving on various vessels of the Penny Steamship Lines. 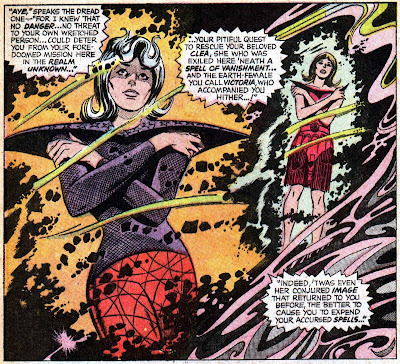 He lasted in Star Spangled until the very last issue of that title, #130, after which the book was converted into Star Spangled War Stories. 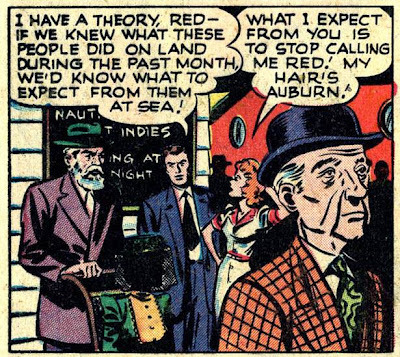 Unfortunately, by the time the series moved over to Detective, Red had vanished. Captain Compass only made one more appearance after that; in an ensemble story in Detective #500 featuring many of the gumshoes who had appeared in the pages of Tec over the years. If all the superheroes in the world were wiped out, but you could keep one around, who would you keep that had the highest value to humanity? And who would you keep for selfish reasons? I think I’d have to say Iron Man because Tony Stark has the wealth, inventive genius and impenetrable armor to accomplish almost anything. 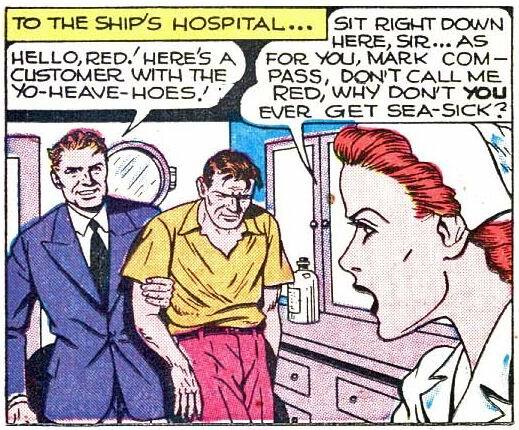 Ah, but he also has that ticker problem which could leave the world hero-less at any moment. Stan didn't answer which hero he'd keep around for selfish reasons, but I'd suspect the answer is Spidey; IIRC, Stan kept writing that title longer than any other Marvel book with the exception of Fantastic Four (both of which he relinquished effective with the October 1971 issues). Hat Tip: A regular emailer. 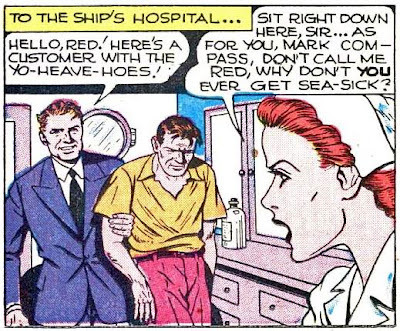 Was Spider-Man a male chauvinist pig? 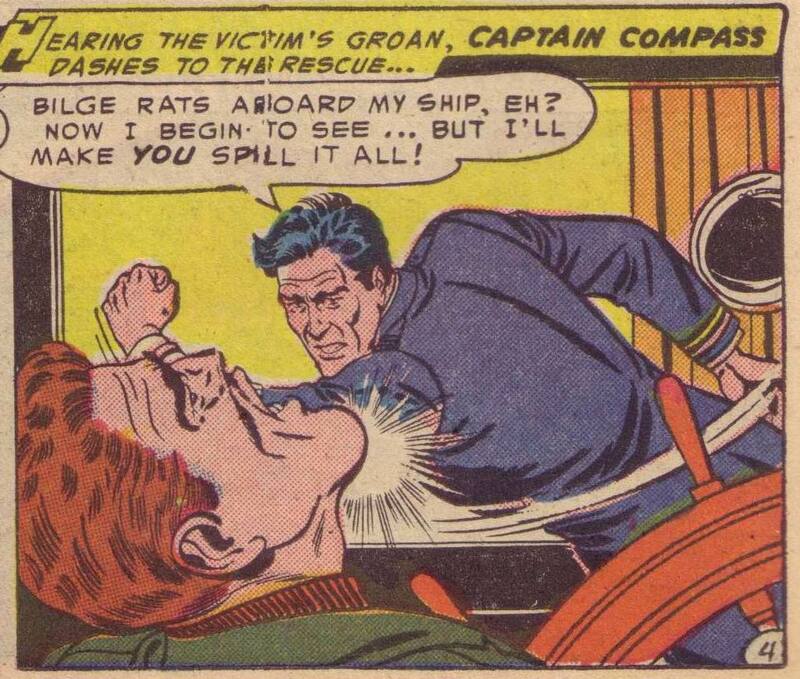 A Nick Cardy/Carmine Infantino self-swipe cover? Note the significant difference in the attitude of the kid in the chair in the two versions. Jacque Nodell posts some Danish romance covers of the 1970s. 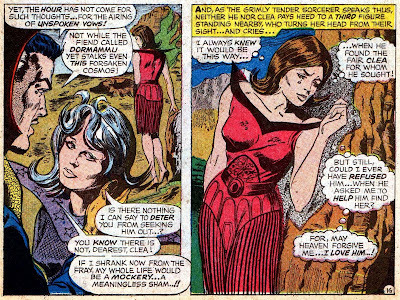 Not a whole lot of difference with American romance covers of the time, although perhaps a few less tears. In the middle of 1968, Marvel began expanding its line of comics. 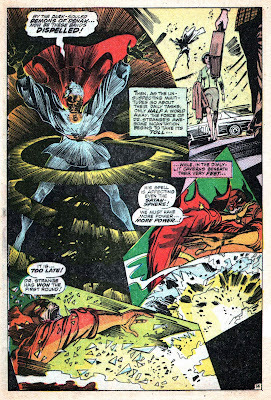 Three books that had been anthology titles--Strange Tales, Tales of Suspense and Tales to Astonish--were converted to single-feature comics: Dr Strange, Captain America and The Incredible Hulk, respectively. 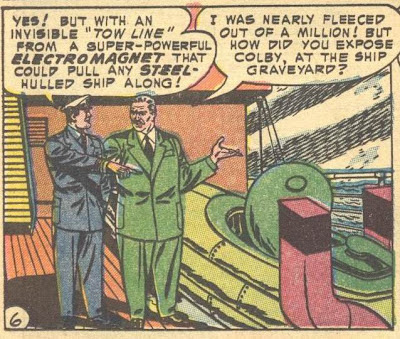 The features that had formerly shared those titles were given their own books: Nick Fury, Agent of SHIELD, Iron Man and Sub-Mariner. 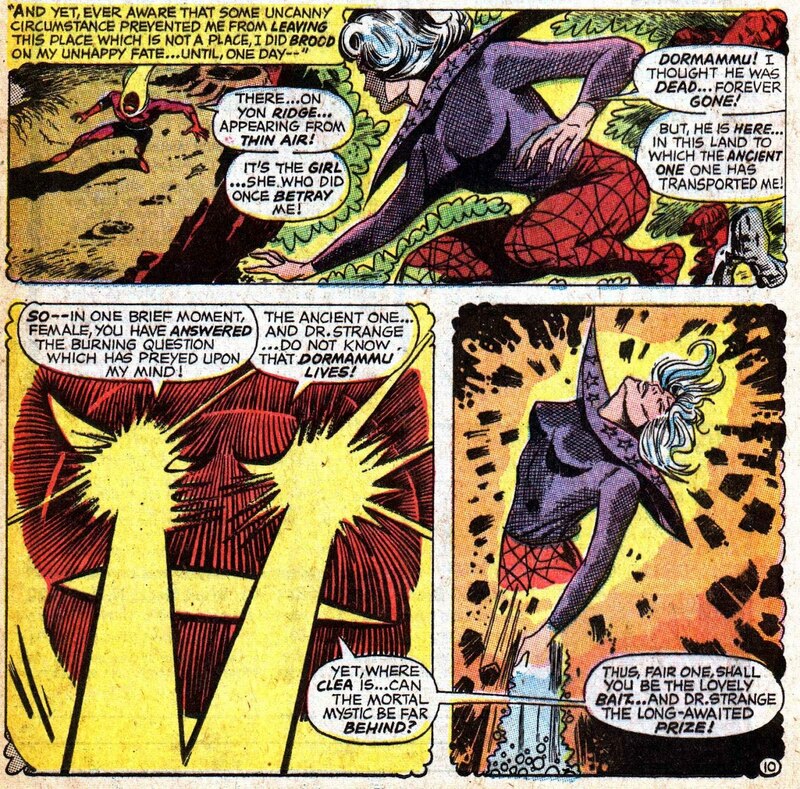 This apparently had to do with a restriction that the comics distributor of the times, (which was owned by DC) had imposed, allowing Marvel only a certain number of issues per month. 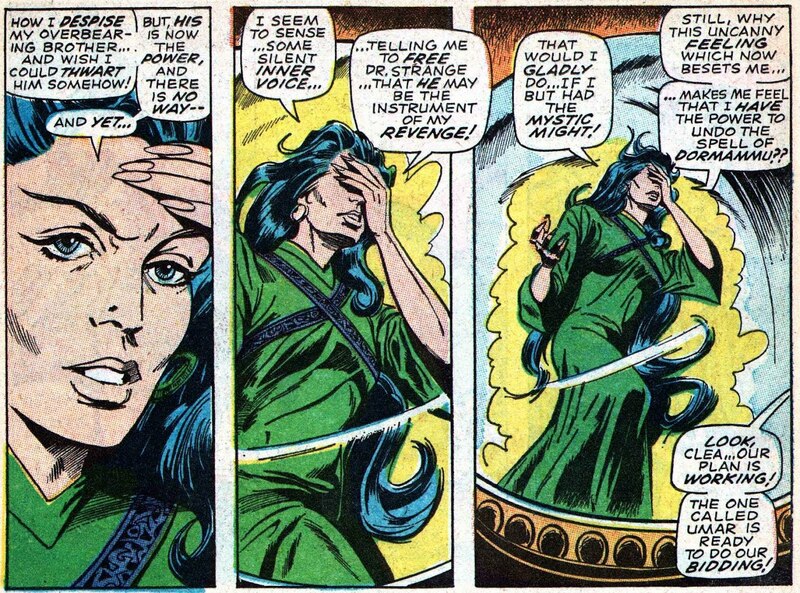 Marvel found a new distributor and thus was able to circumvent the restriction. 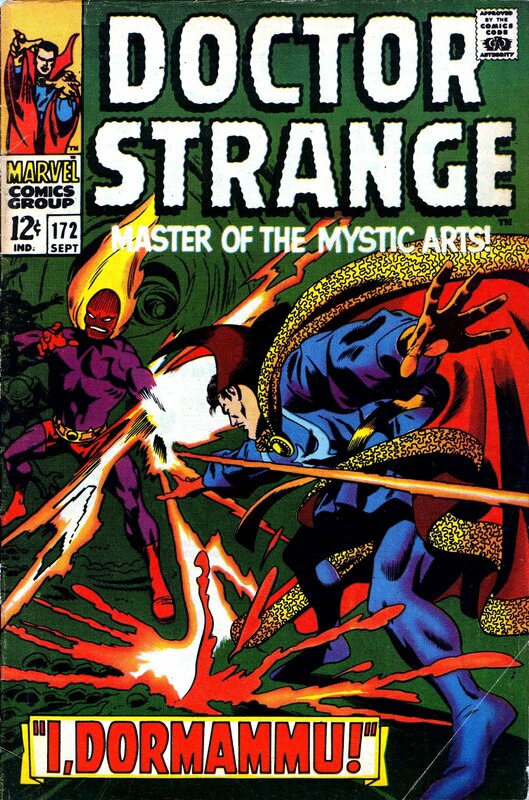 Oddly enough, the two old Strange Tales features survived the shortest of the six new titles; both lasted only 15 issues before biting the dust. What happened? 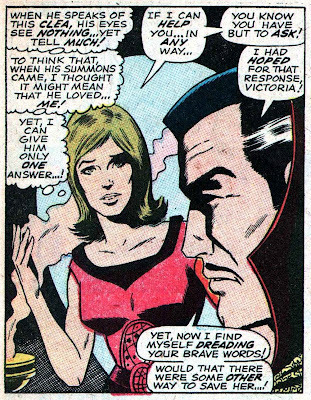 Well, like all the Marvel titles, they ran into the crunch of 1969. The inflation of the 1960s had resulted in higher costs for the publishers, and finally in late 1969, both DC and Marvel raised their prices to 15 cents. The timing was pretty awful, as the US economy was in recession as well, and the biggest chunk of the Baby Boom generation had reached the end of their prime comic-buying years. As with the 1961 increase, the result was an immediate decline in sales. Three pennies may not seem like a lot, but it was a 20% hike. 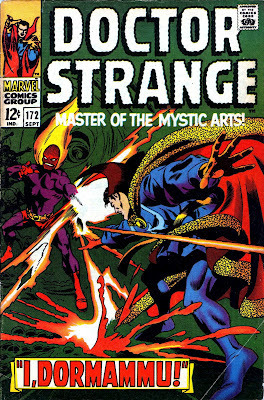 Because the former Strange Tales features were canceled, we do not know how it affected their sales, but we can judge by looking at some of the other Marvel books. 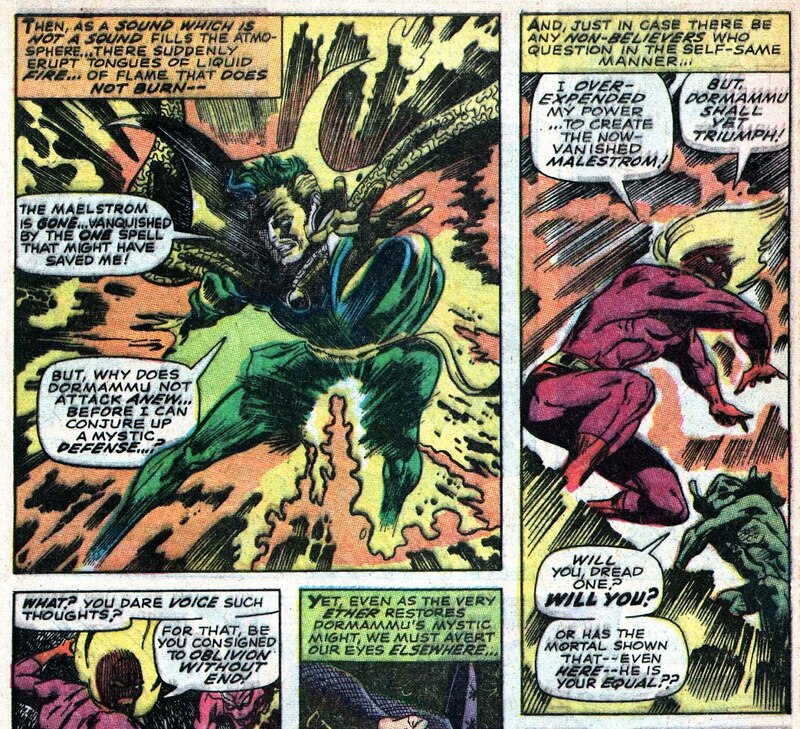 Captain America lost 11% of his readers, while the Hulk was hit with a 6% decline. Thor shed 10% of sales, while the Avengers lost 13% and Sgt Fury 15%. The X-Men dropped 14% and Daredevil 16%. 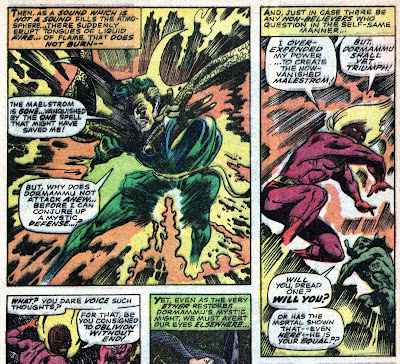 And when you consider that Marvel raised its prices relatively late in 1969's reporting period, the actual declines were probably higher than reported. 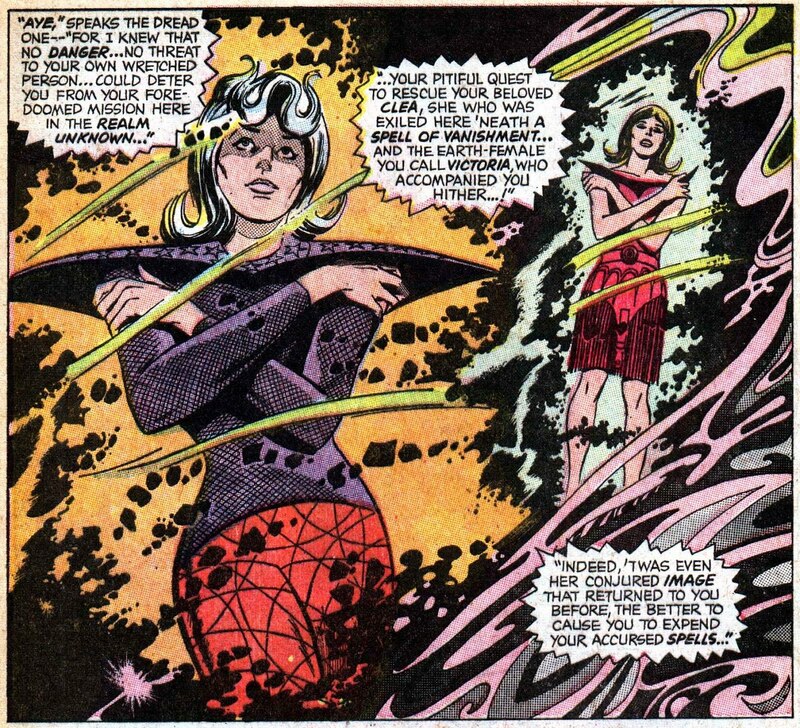 Still, all that was in the future as these two issues came out, and Marvel probably had high hopes for this title. 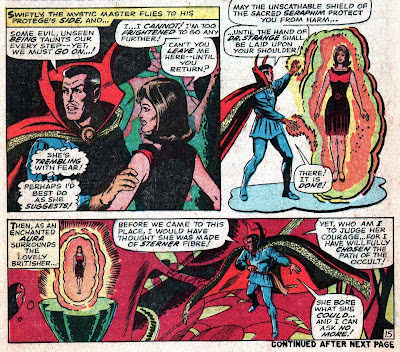 The story starts out with Dr Strange in search of Clea, last seen being subjected to a spell of vanishment in Strange Tales #155. 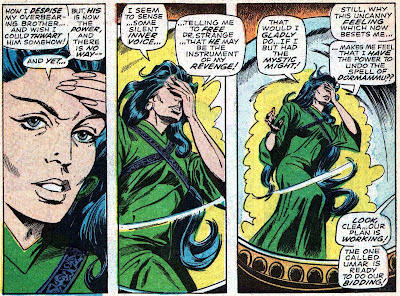 She had been vanished by the Ancient One in order to save her from the wrath of Umar, the sister of Dormammu. He learns where she is located via an apparition. 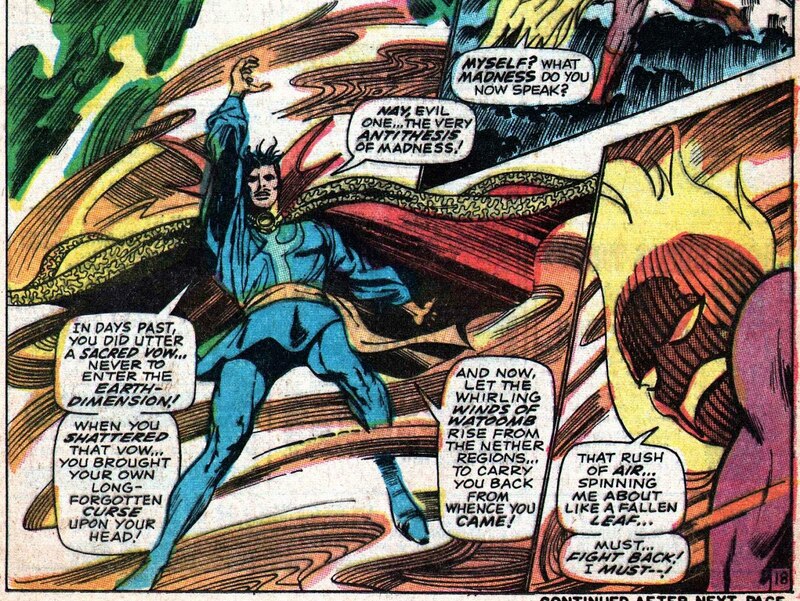 Dormammu was always my favorite Dr Strange villain; there's something about that fiery face that is very menacing. 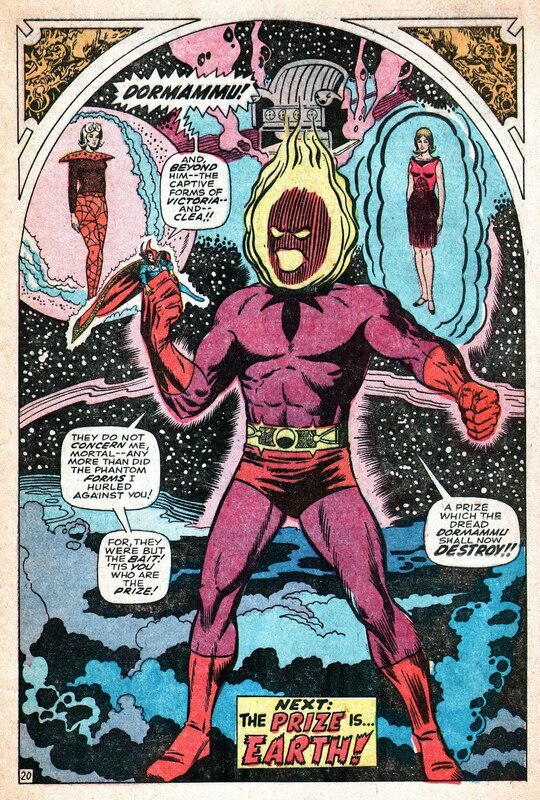 And so Dormammu is banished back to the Dark Dimension. Comments: A beautiful series of books, ably written by Roy Thomas. Roy sprinkled lots of literary allusions throughout these stories. 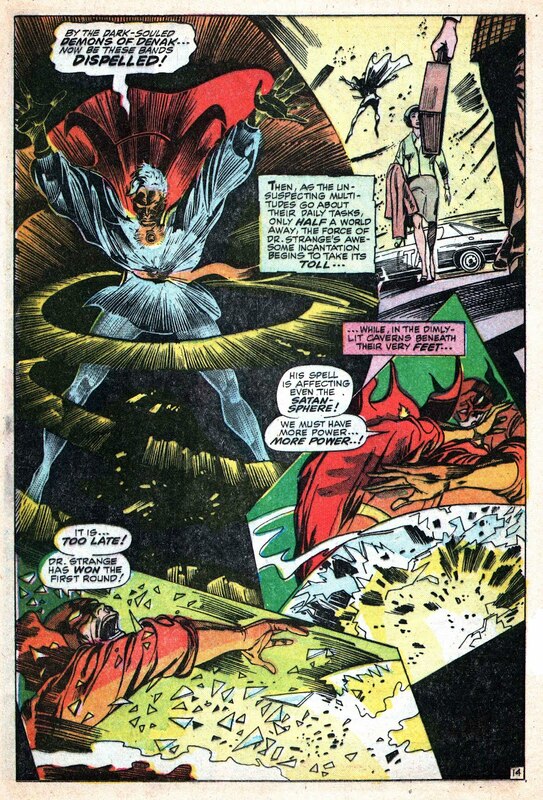 For example, the second issue is entitled I, Dormammu, an obvious reference to I, Claudius, the 1934 novel that was (in the 1970s) turned into a terrific PBS series.